These holiday ornaments feature your favorite breeds in Santa hats. Made from Porcelain 3" across and 1/8" thick. 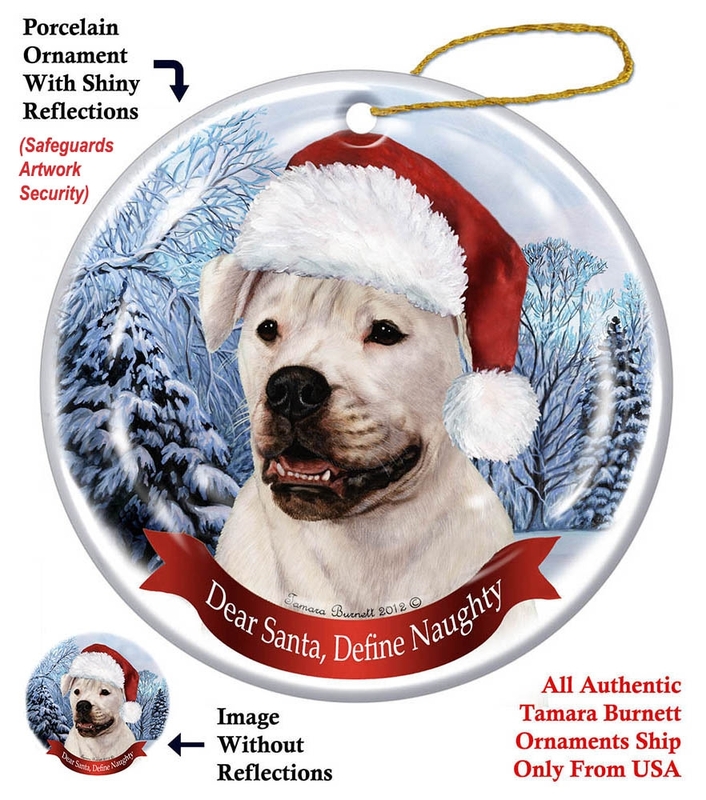 Holiday ornaments are proudly made in the U.S.A.
Each ornament is threaded with gold cord making it easy to trim your tree with your favorite breeds!